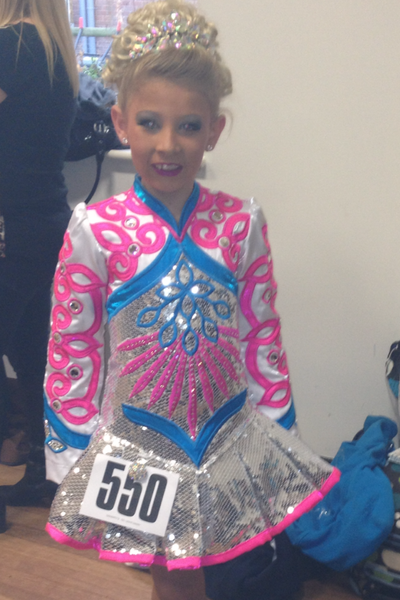 Silver sequin bodice and skirt, a white twinkle satin bolero with pink and blue detailing. This has amazing stage presence really draws the eye. 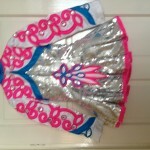 The dress is just 9 mths old we are only selling due to a growth spurt. The crystals are large checkerboard swarovski crystals these are on the bolero and down the arms and also ss30s on the arms and the shawl. 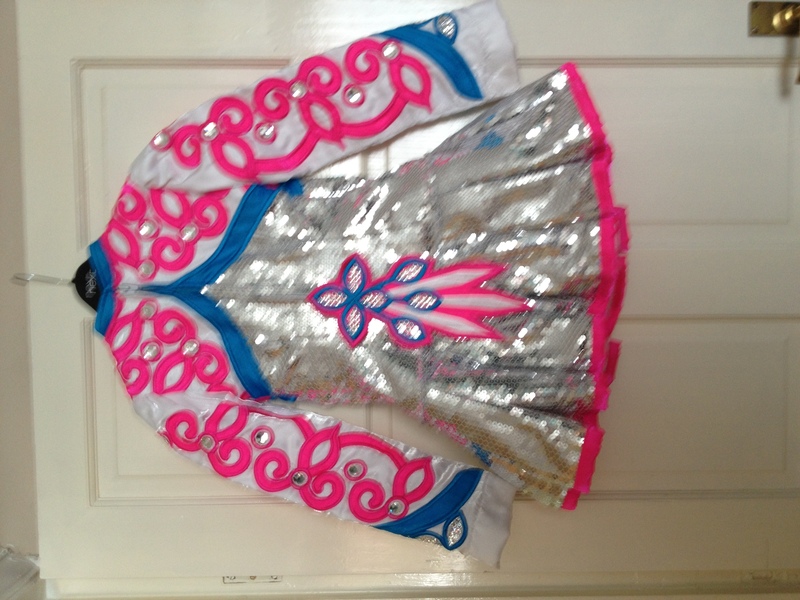 the dress is in good condition and has been looked after, there is however a little bit of pulling on the underside of the sleeves from the sequins, and some a little bit of tan on the underside of the skirt, Kick pants are also included.